Sole: The Sequence Boost 7 has a ton of Boost in the sole. This gives it a very protective ride, but not the fastest. Despite the amount of Boost, I would not call the Sequence 7 a soft ride. As this new midsole material has continued to prove, it has a firm/soft combination that I have only ever felt with Boost. Do I think there might be too much of it in this shoe? Yes. There is a ton of Boost from heel to toe. If the Sequence was lighter this would be fine, but the higher weight combined with high amount of Boost will rob you of quick turnover. 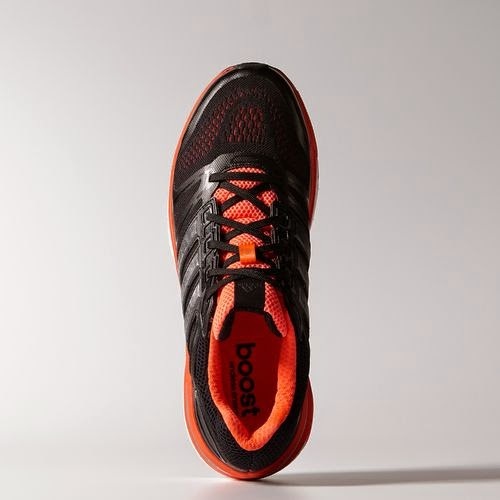 The purpose of the Sequence Boost is that of a trainer, not a racer like the Adios Boost 2. So it ends up working very well as a long run and recovery shoe, which is exactly what I have used it for. The stability comes from the integrated EVA Stable Frame that for the most part is not intrusive and has provided a stable ride. Not a supportive ride as I only sometimes feel the support, but definitely a stable ride (unlike the Glide Boost). Normally support can bother me, but I had no issues with this aspect of the shoe. 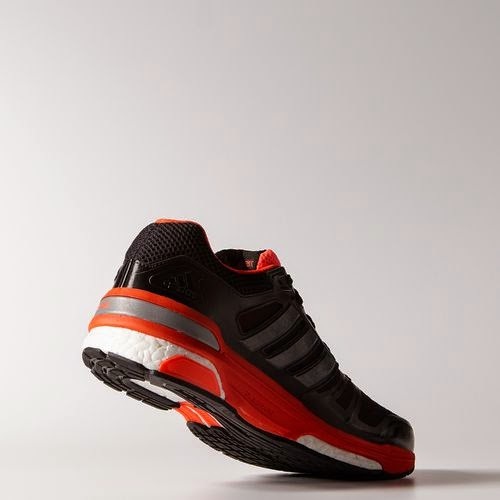 Upper/Fit: The upper of the Sequence Boost 7 was definitely narrow at first. However it does break in with time. There is some stretch from the ESM upper, giving the Sequence Boost a bit of an adaptable fit. What really has bothered me is while the shoe has that stretchy ESM aspect, further up there is a plastic toe guard that was really annoying my 4th toe. While it is fairly flexible and disappears after a few miles, it still bothered me. I think this shoe will fit you better overall if you have a narrower foot. Many miles of Altra shoes have changed my feet and made me more picky about that forward fit. That and the heel is fairly wide. I don't see the point of a wide heel and a narrow forefoot. I'm sure someone out there has that foot shape, but most people don't. If you get this shoe, I would definitely use that last lace hole and lace-lock the shoe. That solved the problem completely, but it was a bit annoying at first. The heel cup is a bit firm but has not bothered me at all. There is some nice material between that and your calcaneous, so for those of you with sensitive heels, you should be fine in this shoe (obviously try them on first and decide for yourself. Everyone is a bit different). Responsiveness: Not great. As I mentioned early, the Adidas Sequence Boost 7 is not the most responsive shoe. The large amount of Boost provides more of a protective ride than a responsive one. This shoe definitely falls into the trainer category. It is not light and can be a bit heavy on the legs. That is exactly why I have (for the most part) only used it for long runs and recovery runs. Heel-Toe Drop/Ramp: The Adidas Sequence Boost 7 is listed as having a 9-10mm drop. As I mentioned with the Adios Boost 2, the heel-toe offset seems to change with Boost midsoles. The Sequence Boost 7 feels the same. 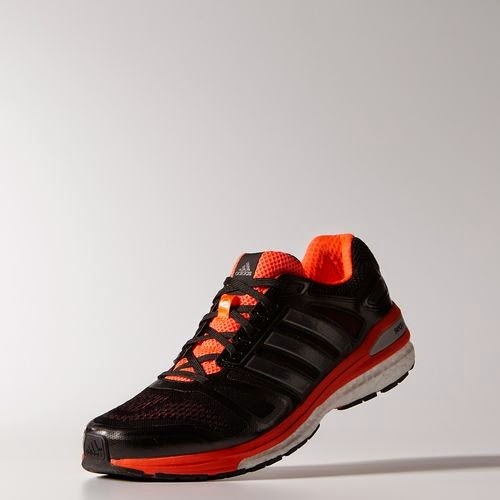 It feels a bit lower than the Adios Boost 2 most likely due to the smoother and less aggressive ride, but not by much. For the die-hard numbers fans, it feels like a 7-8mm drop shoe. Durability: Here is where the Continental Rubber shines again. 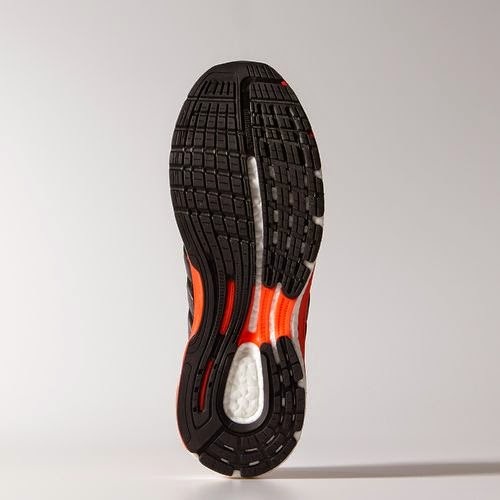 The Sequence Boost has a great deal of this outsole rubber that runs the entire length of the shoe. At 300 miles I am seeing some wear but not much! The outsole has held up very well, especially when you factor in how many gnarly trails I have taken these shoes on! I have to say that the Sequence Boost 7 is the most durable shoe I've worn. By far. The Boost midsole feels pretty much the same as the first run I did in them and the upper, other than conforming a bit better to my feet, has no tears, seams or other issues. I fully expect to get anywhere from 500-600 miles out of the Sequence Boosts! They may be a bit clunky, but they are very durable! Well worth $130 since most shoes last only 250-300 miles for me! Weight: The Adidas Sequence Boost 7 is listed at 10.9 ounces and that is how it feels. This shoe is a bit of a clunker and is best used for recovery and long runs. The only workout I have done in them was that first progression run. I haven't used them for anything fast since (other than some post-run strides). If you are used to a heavier trainer I am sure you could use them for workouts, but I have been spoiled by lightweight trainers like the Adios Boost 2, the Saucony Kinvara 5 and more. That and I have been hammering workouts in the Adios Boost 2, so my legs have been pretty messed up! So I definitely have enjoyed the Sequence Boost for long and recovery runs! Thoughts as a PT (Student): While still present, there is less toe-spring than compared to the Adios Boost 2. If you've read my blog before, you know I have a major issue with that. I appreciate that there is less of it compared to the other Adidas shoes I have tried. The toe spring was so bad in the Adidas Boston Boost that I never ran in them and immediately sent them back! I do like the integrated support aspect. The EVA stable frame feels stable but not intrusively supportive. Instead of trying to control you foot, this frame feels like it is just providing a nice base under it. I very much like the idea of providing that base instead of trying to force the foot to do things. Newton has done a great job of this with the extended medial bridge in their Kismet shoe (almost ready to review) and other companies seem to be following suit. Finally, the toe box. I mentioned in earlier. It's a bit narrow. Don't squeeze toes! There are a good number of nerves and other structures in the foot that don't like being compressed! Luckily the Sequence Boost makes up for it with the ESM upper, but it still could be better. Final Thoughts: Due to the narrower upper, I initially didn't want to like this shoe. However, the Sequence Boost 7 has grown on me. 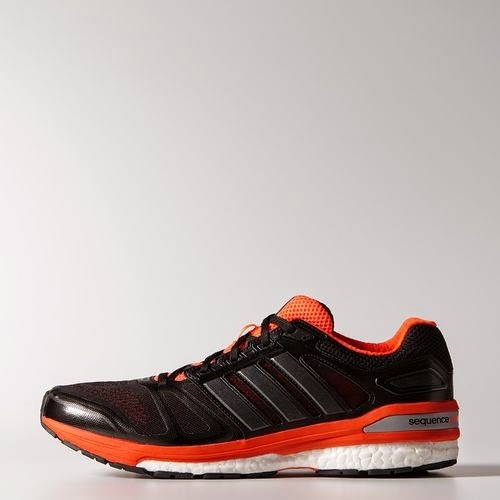 It is a great compliment to doing workouts in the Adios Boost 2 and is great for recovery/long runs. The upper did break in as I continued to put miles on them, but I will be waiting for the next version to see if Adidas fixes the toe box before I order another pair. Plus this pair will probably last at least until then based on how durable they are. If you do have a narrower foot, I think you will like this shoe for long miles and protecting beaten up legs! They have definitely perform those two jobs well and they will carry you for many hundreds of miles! These shoes were a personal purchase and I put at least 100 miles on every pair of shoes before I review them (except racing flats which I put on at least 50 miles). Currently I have 307 miles on my pair. *Images obtained from the Adidas website. Go down to your local running specialty store to check them out!